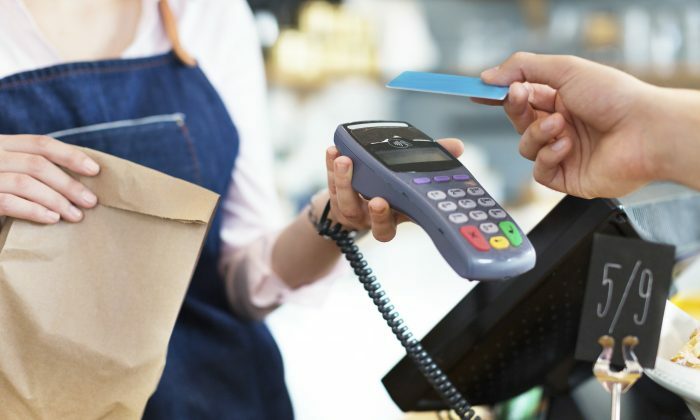 Small businesses in Southern California have joined hundreds across the country in warning others to beware of possible fraudulent sales techniques regarding credit and debit card processing and equipment leasing companies. Taeko Kobayashi and Steve Lindemann say they connected online through websites such as Ripoff Report and Facebook, sharing information and their frustrating experiences in dealing with a company that is now being sued by the New York attorney general for alleged deceptive business practices—Northern Leasing Systems—along with other affiliated companies. Kobayashi runs a business out of Irwindale. A salesperson named Michael Lee, whose business card stated he was Senior Account Executive with a company called Smart Card Merchant Services, promised in late August of this year to save her a lot of money on a low credit card processing rate. The equipment was free, he allegedly said, there were no hidden fees, and she could cancel at any time without any termination charges. But it turned out the opposite was true. “He just tricked me,” she said during a recent interview with Epoch Times. Kobayashi said Lee convinced her to sign documents that he explained were for quote purposes only, to see if she qualified for the best deal. To her surprise, she soon received credit card equipment in the mail without any notification from the company. Lee later told Kobayashi that she qualified for the special rate, and the contract would be mailed to her. When the contract arrived, Kobayashi found out she had inadvertently signed a “non-cancellable” four-year lease of credit card reading equipment with Northern Leasing that cost over $100 per month. The processing rate was also much higher than promised. Kobayashi contacted Lee, and he agreed to a refund and cancellation without any fees if she was not satisfied. Then he stopped returning her calls. When Kobayashi called Northern Leasing to complain, representatives told her that they couldn’t do anything about it. She was stuck. Hiring a lawyer would cost more than the entire lease, she said. “I want to end it, but I can’t,” she said. It turned out Lee was the same salesperson that convinced Lindemann, president of a custom picture framing company in San Dimas, to sign papers for a four-year lease with the same company in February 2013. Lindemann was charged $90 per month for the credit card reading equipment. When Lindemann found out he was not saving money as he had been promised, he researched the company. He found out that Northern Leasing was rated an “F” by the Better Business Bureau (BBB), and many other customers had strong complaints. “There’s a clause in [the contract] that says at the end of your lease, if you don’t contact them, your lease is automatically renewed. And if you decide to return the equipment, there’s a $150 restocking fee,” he said incredulously. Lindemann has since returned Northern Leasing’s equipment and blocked the company from charging his bank account, but only because he’s not too concerned about the potential harm to his credit. 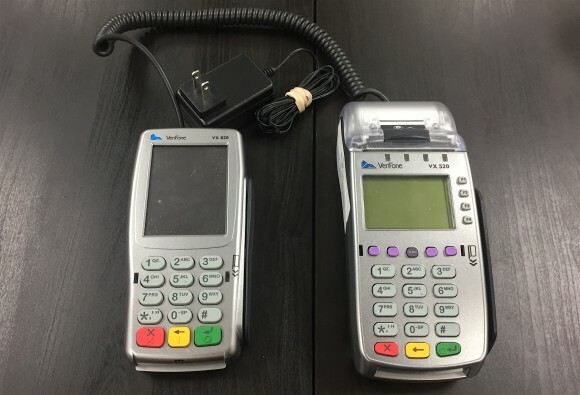 “The [credit card] processor that I have now, they provide you with the equipment for no charge,” he said. Northern Leasing has denied allegations by New York attorney general Eric Schneiderman that the company “trapped small businesses into never-ending lease agreements for over-priced credit card processing equipment and abused the judicial process by suing to collect on these leases,” according to an April 13 press release. “Small business owners—many of whom are immigrants, elderly, or veterans—are the cornerstone of the economy and deserve to be treated honestly and fairly,” Schneiderman said. During attempts to contact Michael Lee and his employer, Epoch Times received a response from a company called Eschelon Merchant Services. An emailed statement dated Dec. 23 confirmed that Lee is an active independent contractor with Eschelon, but such relationships could be terminated “if issues arise” from customer complaints. The relationship between Smart Card and Eschelon was not explained, but public records show that both Smart Card and Eschelon Merchant Services are registered by Eschelon Financial Group, LLC, based in Phoenix, Ariz. Eschelon Financial Group also has an “F” rating on the BBB website. Eschelon Merchant Services stated the company severed its relationship with Northern Leasing “earlier this year,” and the company does not have the ability to cancel any existing Northern Leasing contracts. Calls and emails requesting comment from Northern Leasing were not returned. In December 2013, a California federal judge certified a class action lawsuit brought by several small businesses against Northern Leasing and a number of other affiliated companies and individuals. The plaintiffs claimed the companies conspired to charge excessive fees and hidden costs for credit card processing and equipment through a series of deceitful misrepresentations and forged documents. A portion of the case has been settled, with the defendants agreeing to change their marketing materials to provide additional disclosures, such as the fact that equipment leasing is optional and a cancellation fee would apply for early termination. Kobayashi said she now vows in the future to never sign anything without reading every word of the contract and making sure no spaces are left blank. She hopes others will do the same.